By now, all of us are well aware of the tips and tricks that keep our hair healthy and voluptuous. It is imperative to have that gorgeous bunch of locks on our head to outshine a bad mood at the office, pull up any avatar at a party or simply to play with your fingers. It’s beautiful to see how effortlessly our hair plays an important role in our lives. Despite, of the fact, many of us suffer from hair loss or baldness which is mostly caused by genetically dominant hormones and sometimes due to several external or internal factors that damages our hair follicles. This has paved way for many Hair transplant clinic in Delhi, but, you need to research and then choose what is best for you! In an ultra-modern age of living with innovations happening at every place on earth, hair loss or baldness has an answer too! Hair restoration or hair transplant in Delhi gained popularity in recent years of medical science, wherein, the hair follicles from one part of the head are surgically removed and transplanted to the area with thinning hairline or loss. This innovative and minimally invasive surgical process not only solves your worries for a receding hairline but also give you healthy and shiny hair on your scalp. Alvi Armani is a renowned hair transplant clinic in Delhi and several other parts of India and internationally. It has been chosen as a one-stop solution by celebrities and common masses alike, because of its experienced team of experts, holistic approach of treatments and the choice for best in the class hair transplant procedure. FUE Hair Transplant in New Delhi is becoming a better selection for the transplant procedure as it has the minimum or no side effects on the hair and scalp. STRIP was the conventional method for transplant the hair follicles from the donor to the recipient area, however, it has been replaced with the FUE hair transplant in Delhi. 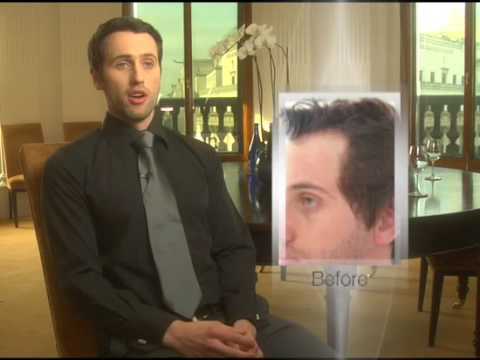 Why does Alvi Armani choose FUE Hair transplant in New Delhi? It is not just your aesthetic appeal, but your confidence level which is hampered due to hair loss. At Alvi Armani, a hair transplant clinic in Delhi, FUE has been chosen by the efficient team of doctors who work with their teams in India and abroad. The procedure is efficient and undetectable and also natural looking. It delivers thick and voluptuous hair flowing at the best of their youths.